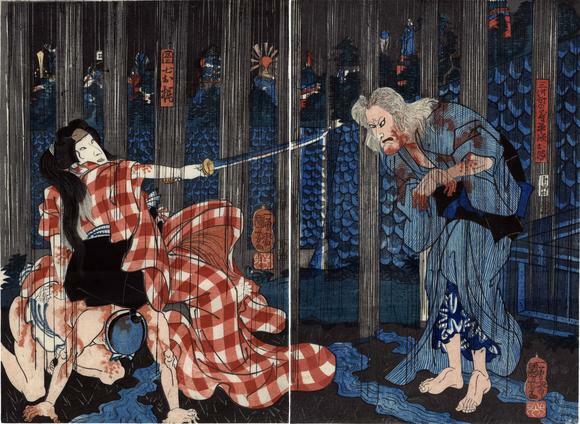 In a drenching downpour a heroine falls against a blood-stained half-naked figure as she fends off the Hag of the Lonely House. From the play Shinzō Tsurifune kidan performed at the Ichimura Theater in the 5th month of 1852. The title may read: 新造艣奇談 (しんぞうつりふねきだん), but we have yet to confirm this.